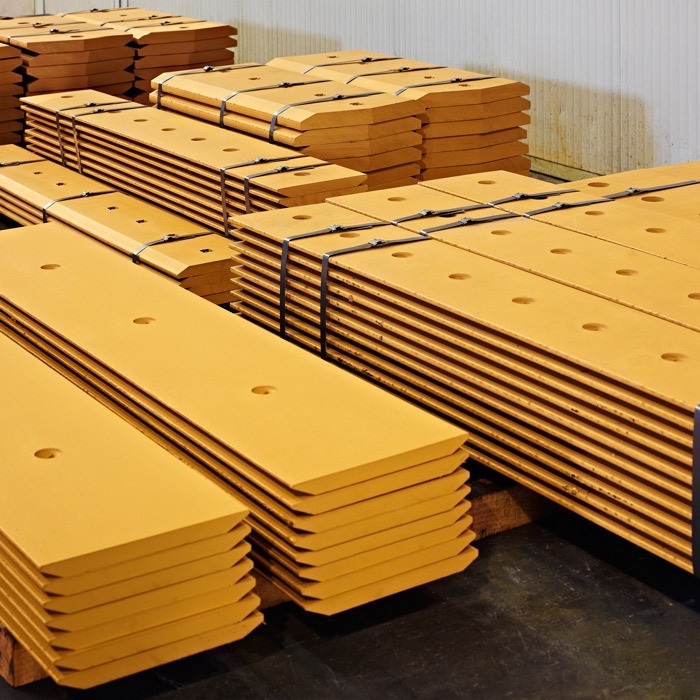 ESTI produces blades for shovel buckets and excavators, blades for dozers, graders, scrapers and snow plows. The type of steel used, the careful heat treatment and the very low tolerances during mechanical processing allow high quality products with excellent wear resistance to be produced. The rolled profiles produced with the new ESTRONG® steel represent the maximum expression of wear-resistant steel. The only complete production chain in the world, from production to warehousing. Constant characteristics over the entire section. Large amount of available stock. 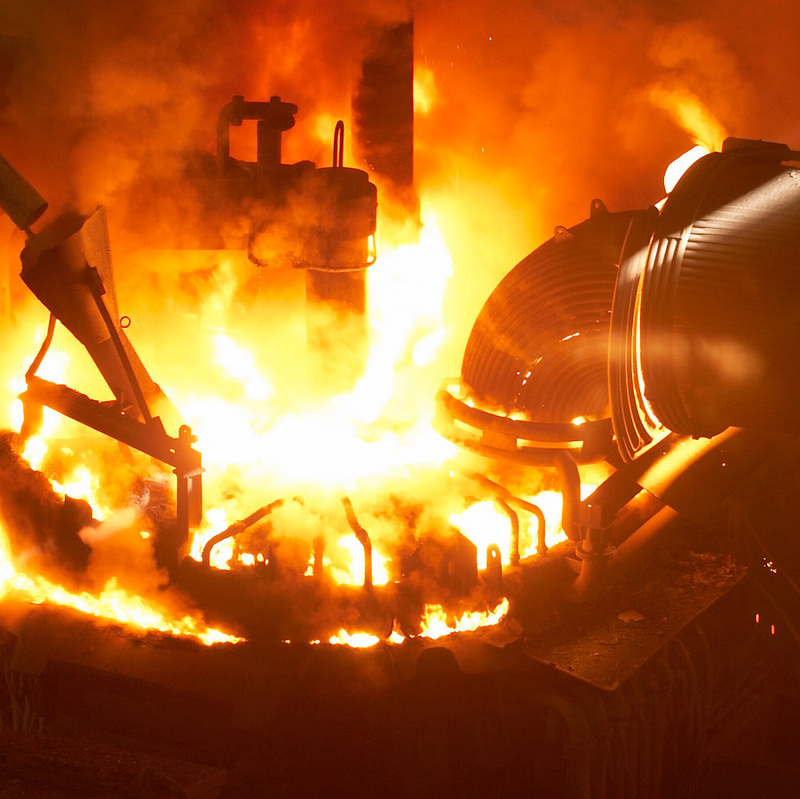 The new name of wear-resistant steel. 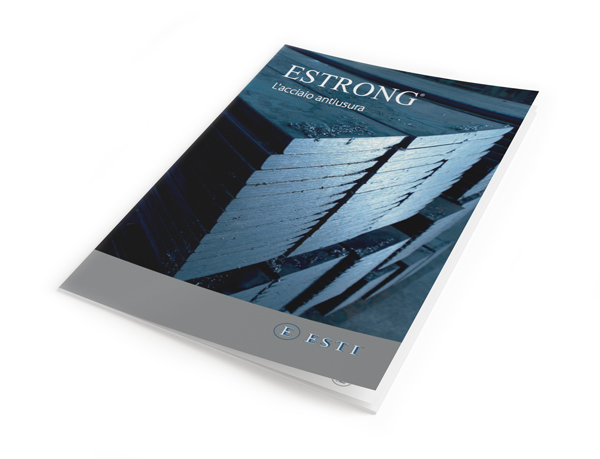 ESTI has recently begun production of rolled profiles using the new ESTRONG® steel. The high wear resistance allows these rolled profiles to last much longer than competitive products. This difference provides the customer with significant cost savings over both the medium and long term. ESTRONG® is an alloy steel with a low Carbon content and high levels of Boron, Molybdenum and Nickel, which optimize the mechanical characteristics while making it easy to weld and to work. The extreme hardness that is at the heart of the profiles is the result of an excellent chemical composition combined with deep hardening of the steel. Untempered crude steel, easy to work, suitable for subsequent heat treatments and for applications where the wear is limited. HB 220 – 250 (natural rolled state). Hardened and tempered steel suitable for all applications where high toughness and wear resistance are required. HB 380 – 440 (after the heat treatment performed on the entire thickness of the profile). Hardened and tempered steel suitable for applications with extreme and particularly heavy wear. HB 470 – 530 (after the heat treatment performed on the entire thickness of the profile). + = Complete production chain. The merger of ESTI and Acciaierie Venete has created a new organization, unique of its kind, which allows the creation of a complete production chain. Such organization allows even the most demanding customers to find a highly reliable partner in ESTI, because it has control of the entire production process. 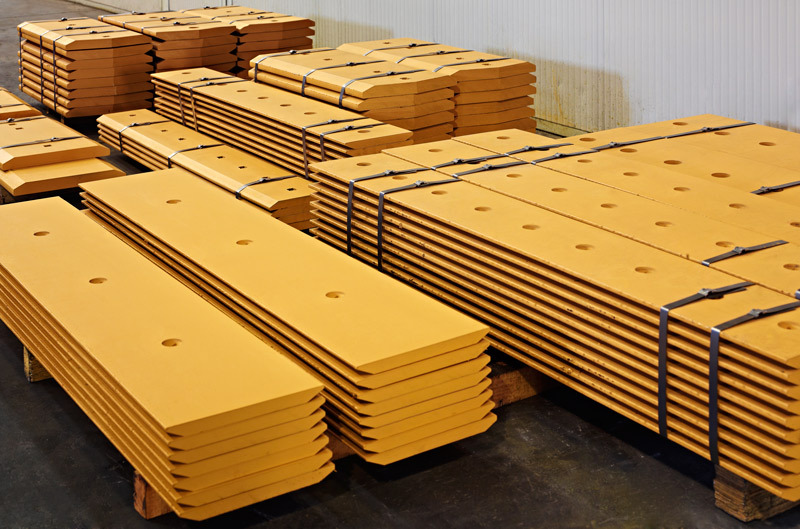 Based on ESTI’s many years of experience in wear-resistant steel products used for earthmoving equipment. 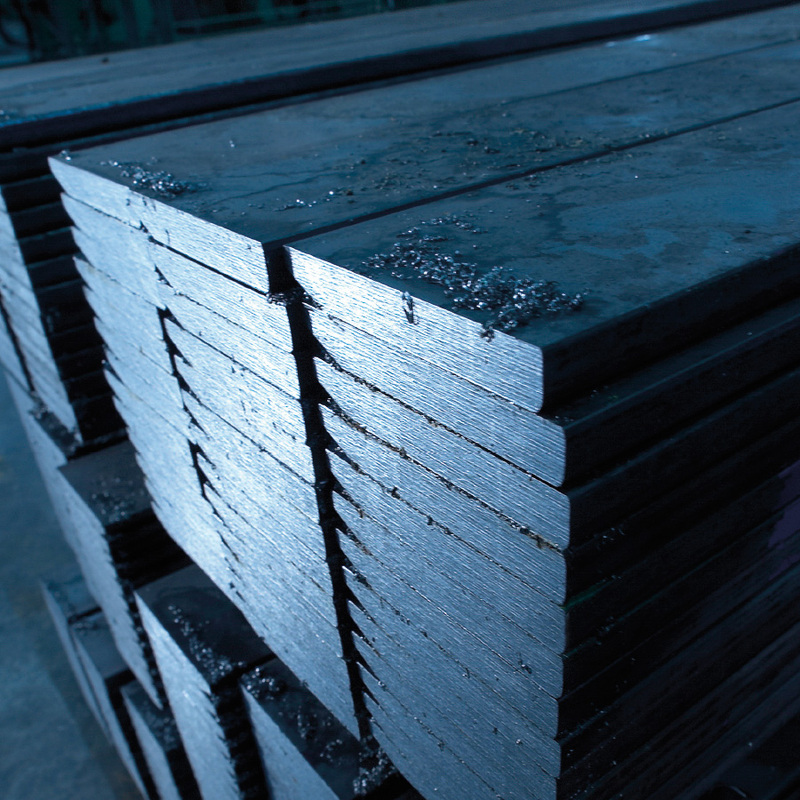 With outstanding expertise on the production of ACCIAIERIE VENETE steel. Thanks to highly qualified personnel and sophisticated analysis and measurement tools, all ESTI rolled profiles meet all customer’s expressed or implied needs. 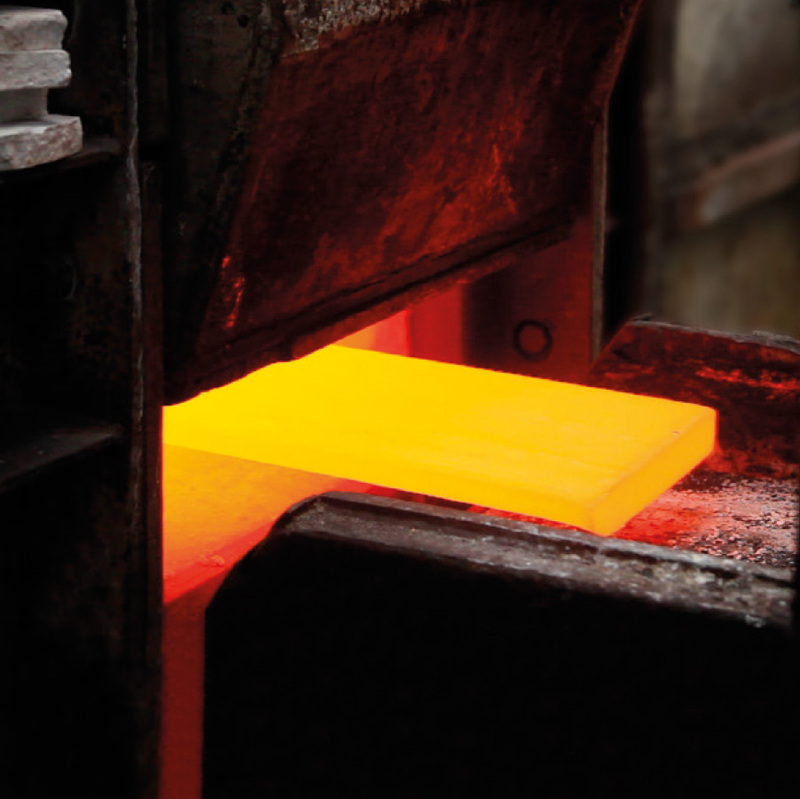 The quality of the finished product begins with the direct selection of the raw materials. The billets produced in the steel mill are made with special care and attention to create the best quality ESTRONG® steel. The precision of the process and modern dimensional control technologies ensure product uniformity. The sophisticated laser triangulation system for in-line control guarantees that the dimensions remain within the set tolerances. 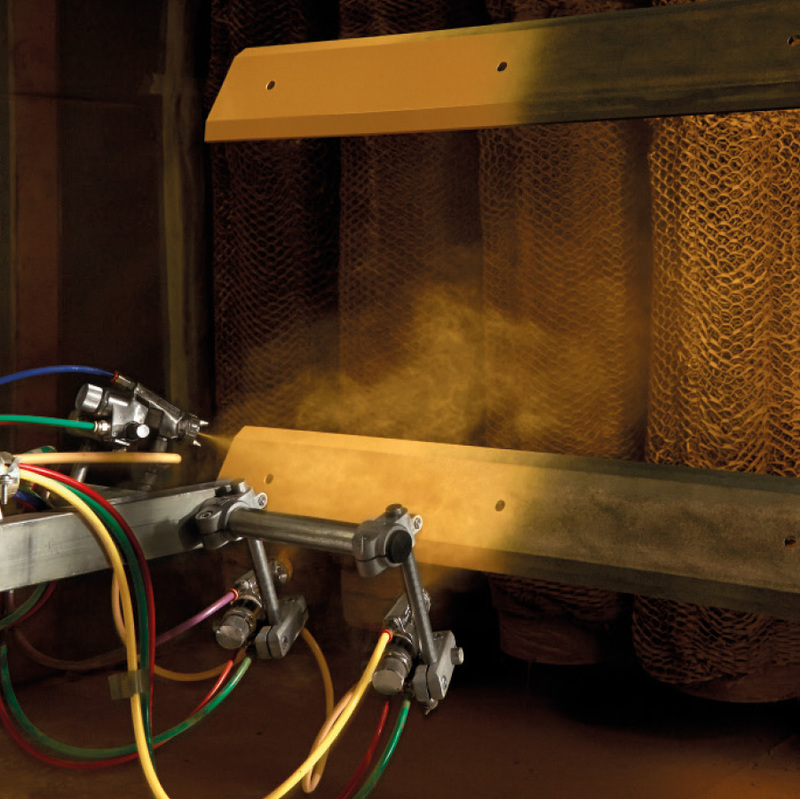 The dimensions of the profiles are continuously checked and if a dimensional non-conformity is detected the control system warns the operator who will promptly intervene. The surface of the profiles is checked at the same time as the in-line dimensional measurement. Thanks to the high resolution cameras and special strategically positioned lights, any discontinuities on the surface of the product are detected, allowing operators to immediately view the profile even before it cools. 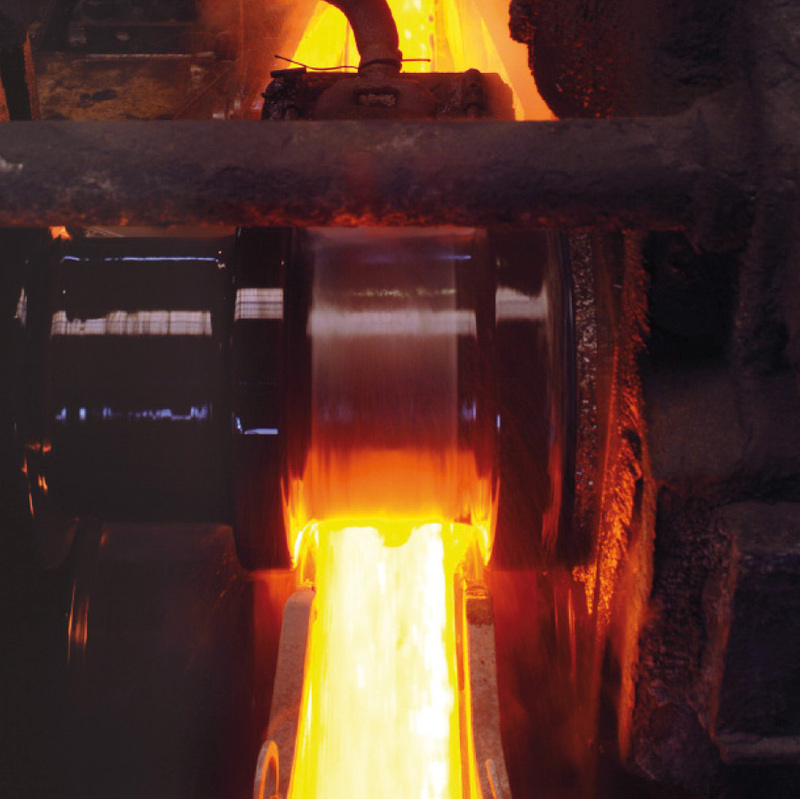 Technical experience and knowledge of alloy steel have allowed ESTI to optimize the hardening and tempering process. The advantages of ESTRONG® rolled profiles. 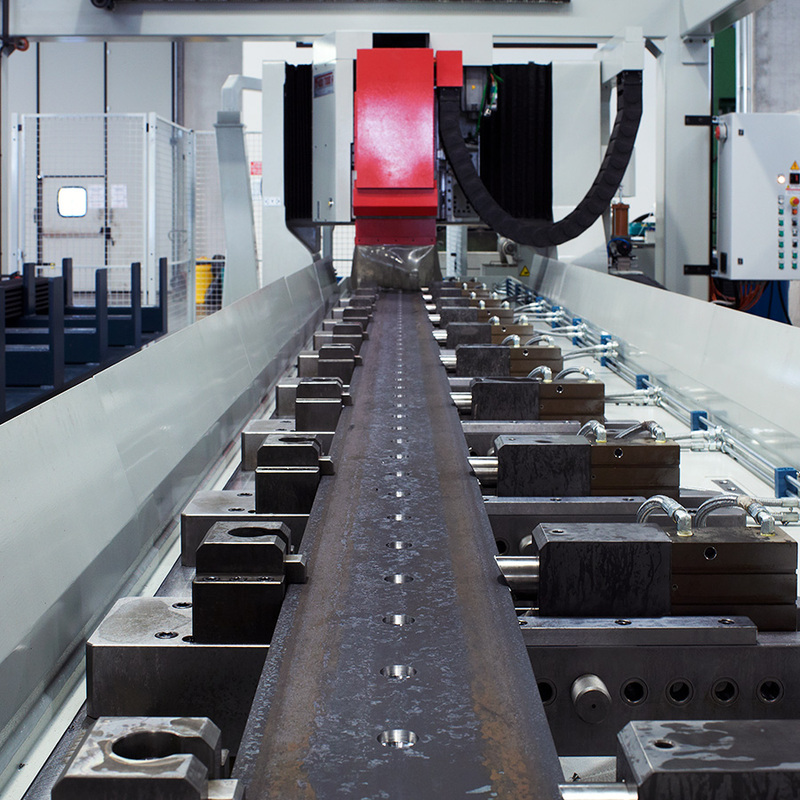 No additional machining: the profile is not made from a sheet, providing time and cost savings. The mechanical properties remain the same throughout the section, while the mechanical properties of a profile made from steel sheet can be altered near the bevelled area. The ESTI warehouse has a large stock of all rolled profiles, in all sizes and grades of steel, that are ready for delivery. The recently renovated and expanded shipping department is constantly searching for new ways to reduce the order processing time; this results in a considerable time savings for the customer who is thus able to quickly meet the demands of its buyers.